The above title is taken from the theme of the Asian Development Bank Annual Board of Governors Meeting which was held in Manila last week. Indeed, the mission of ADB is to reduce poverty, not by charity programs, which are not sustainable, but by the productive use of both human and natural resources to be competitive. We have seen in the last few weeks several articles calling for more active strategic and less passive approaches toward economic growth with the singular aim of generating jobs and livelihood opportunities PRONTO before breaching the 100 million population ceiling in 2016. DOLE offered 300,000 job openings to our jobless lot last week but these are mainly for overseas work. Only 70,000 of these openings are reportedly for domestic positions, which included low-quality jobs in fast-food joints and temporary positions in department stores. It is therefore not an indicator of progress but a confirmation of the need for “execution with integrity” as MAP puts it of the economic strategies proposed earlier by the private sector at the National Competitiveness Council. Earlier, during the manufacturers and producers summit of the Federation of Philippine Industries, ADB economist Dr. Norio Usui and PIDS head Dr. Josef Yap shared the position that the country should broaden its economic activities to include labor-intensive sectors where we have the potential to be global players; in industries, agribusiness, services. Usui graphically described this as an economic transformation toward “Walking on Two Legs” by undertaking a wider thrust on the multisectors described earlier. Rene Ofreneo, a University of the Philippines professor, discussed the ADB report extensively in his column “Yellow Pad,” underlining the prerequisite, which is a coordinated effort of the various arms of government to achieve the target of poverty elimination. He noted that this environment would result in a positive attitude of the labor movement which would be more in cooperation with the investors and government in building world-class products and services for the benefit of their countrymen. The article “Out of Poverty with Job Creation” by Prof. Noel de Dios of the UP School of Economics, which appeared in this newspaper recently, emphasized the need for a dynamic economic transformation that will offer the people better lives for themselves. Accepting the fact that the country has not had a formative history of industrial planning, the improving governance climate in both the public and the private sectors can result in tempered excesses and the disabling of cronies and warlords. We are betting that President Noynoy’s “Daang Matuwid” will be the bedrock of the economy’s transformation. However, the need to start a strategic approach toward economic growth as described in my article last February in this column must be undertaken in earnest. Trade and Industry Secretary Gregory Domingo has taken the lead in defining the strategies of certain “winning industries.” It is important to allow greater play to the private sector to address the apprehensions of economic gurus against government setting industrial policies and economic strategies. We suggest that this joint undertaking be assigned to the National Competitiveness Council where the private sector has found their voices heard. We are happy to note that there seems to be a new determined effort by our leaders to achieve closer coordination for quality execution of strategies and conscientious monitoring of metrics, as explained in Administrative Order No. 25 dated 21 December 2011. We do not know where this AO is now but hope that a results-based performance monitoring system will be the norm soon. 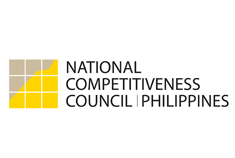 The private sector supports the initiatives of Secretary Domingo and will be prepared to play a greater role in achieving the broadened economic strategy, either by contributing their invaluable talents and their experience, such as the ones described at the Arangkada report of the Joint Foreign Chambers, the PCCI and MAP. Additionally, they can also help in tapping world-renowned experts in strategy settings such as Michael Porter and David Norton of Harvard, or Ed Morato of AIM. Michael Porter, in particular, has worked on country economic strategies which resulted in improvements in living conditions. UNIDO has reportedly offered in the past its expertise in analyzing 32 industrial sectors but our leaders then could not be bothered. But it is not too late to take them up on their offer especially with the initiative being taken by ADB in encouraging us to “walk faster on two feet.” The PPP approach in developing the strategic sectors of the economy, described by Justin Lin as “industrial upgrading strategy,” will be a perfect partner to the president’s focused fight against corruption in completing the pathway against poverty before the end of his term. Prof. Gerry Sicat mentioned in his “Crossroads” column earlier that only 20 percent of the Philippine economy can be considered world-class while 80 percent are burdened by high costs so we have no business being there in the long run. The private sector applauds the initiative taken by Secretary Domingo who can use his operational research expertise in reshaping the industrial sectors, agribusiness and services to be more attuned to the vision of our country, i.e., zero poverty. A decade from now, ADB will probably look back at the 2011 meeting of its Board of Governors as its most productive in terms of transforming the country that was considered the sick man of Asia to one of its most progressive—a model for the rest.